A Rider Bill of Rights? Too Much to ask Metro Staff to be Vigilant? I've long thought that in recent years the Washington Post has been a key enabler of Metro's awfulness (here, here, here and here). With the exception of editorial cartoonist Tom Toles, the Post team seems blind to Metro's ridiculousness. The real baffling question is why. Here again is another, very strange example of Post's odd reporting on Metro. If you search for an article about the Great Green Line Charlie Foxtrot of 2013 on the Washington Post site, you come up with the first article embedded below. The thing is that story is quite a different story from the original one published. Also below is a partial copy of that story captured by a reader. Quotes from Metro staff have been removed from the original. “We failed to assist customers with bus service at Navy Yard station,” Taborn said. That quote is gone. It was the fifth paragraph of the original story. Removed. Board member Tom Downs said the “hairs on the back of my neck” stood up at hearing of customers evacuating themselves from a train and into a tunnel. “Our job is to explain to customers they are risking their life exiting a train without any supervision or direction,” Downs said. Although there are signs on trains that warn passengers against evacuating , he said, it needs to be more clear. Board member Kathy Porter said passengers reacted in an “irrational manner” in exiting the train. Also gone is mention that four people were taken to the hospital as a result of Metro incompetence. To be fair, the Post also stripped away mention that one of the train operators seemed to do a good job during the incident. Why would the Post remove official statements from Metro's governing body? Why would they remove some key details? More troubling is that in neither story did the Post report that board member Tom Downs actually suggested arresting passengers for "self evacuating," which is probably the most jaw dropping aspect of the whole sad affair. What's up? Maybe there's some kind of technical glitch, but that shouldn't cause an entire article to disappear and be replaced with a watered down version. Allowing Metro officials and board members' statements to simply be expunged from the record is inexcusable. I asked the reporter about the changes and omissions. They said they'd get back to me. 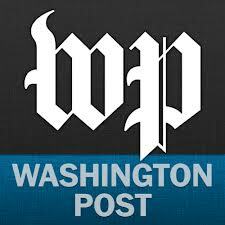 The Washington Post used to do great reporting on Metro, but now they seem reduced to mere stenographers for Metro's PR army. Who knows what's going on at the DC region's paper of record, but if we can't even trust them to play it straight with their articles and keep on-the-record statements from key players on the record, it's hard to avoid the conclusion that the Post is to journalism what Metro is to mass transit.